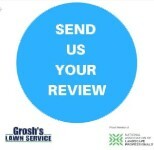 Grosh's Lawn Service loves to hear from our clients! Thanks to everyone who has reviewed our business. Feel free to post on one of the below sites, why not get something out of all the time you spend on social media? Did you know the average tree takes in about 520 gallons of water each year? Have your trees received the proper amount of moisture this year? Were your shrubs planted back under the drip edge of the house? Are they crying for water? Remember, you get out of your plants what you put in to them, so water them properly! Your birds and other wildlife need some fresh water as well so make sure you have a place or two for them to drink safely! We love to hear from our clients, so send us an email with any question, concerns, and of course, leave us a review! If you see some of your pine trees needles (not all of them) turning brown, this is a normal shedding cycle that the evergreen goes through. Did you know that needles on conifers have different life spans and do not remain attached to pine trees forever? Did you miss out on last month’s fall tree and shrub planting? There is still time for planting and the nursery has a great selection of perennials, shrubs, and trees to help enhance the appearance of your home, commercial property, or church grounds. Check out last month’s post here. We are now into the season of fall and hope you are enjoying the cooler temperatures. We are appreciating the beautiful colors of the leaves at this time of the year. We have been very busy preparing for the much cooler temperatures, which are on the way, so if you are considering any services for the Thanksgiving holiday, please do not delay! Give Tom a call at 301-842-0062, or send him an email, to get on the quickly filling schedule. Does your landscape need a personal touch? 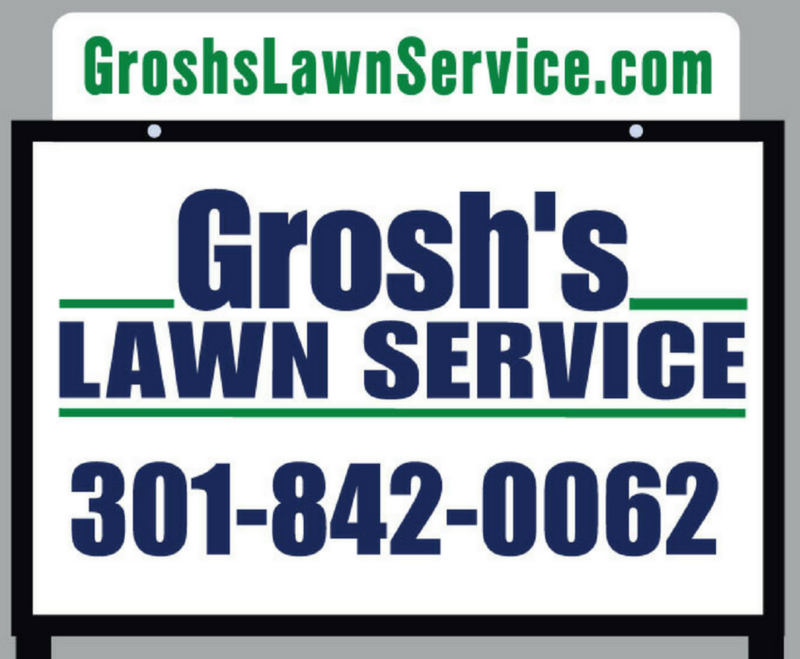 Now is the time to plan your dreams with a landscape design build from Grosh’s Lawn Service! We will meet with you to discuss what you are visualizing for your special project and will make sure you receive the best return for your investment. We place the right plant in the right place so that when your trees and shrubs mature, they do not have to be removed due to outgrowing the area. Proper landscaping, including planting the correct trees, definitely can increase your property value. It is that time of year when leaves are starting to fall. Tom and his team will be glad to collect the leaves so your lawn receives the proper amount of sunlight each day, as the hours of sunlight decrease. Did you know that plants use sunlight to create energy which fuels growth and green color? Please remember the grass will not receive the proper amount of oxygen if leaves lay on top of the grass. 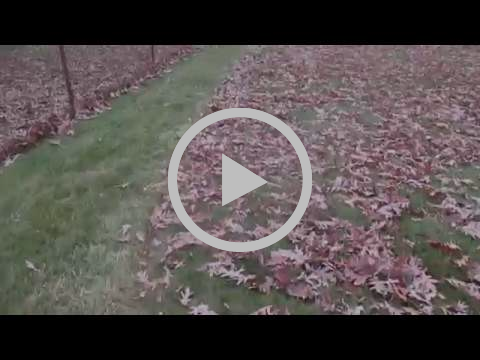 Watch Grosh’s Lawn Service fall leaf cleanup YouTube video with the mowers. Now is the time to save the date for your fall gutter cleaning, as we only offer this service to our clients due to our very busy schedule. 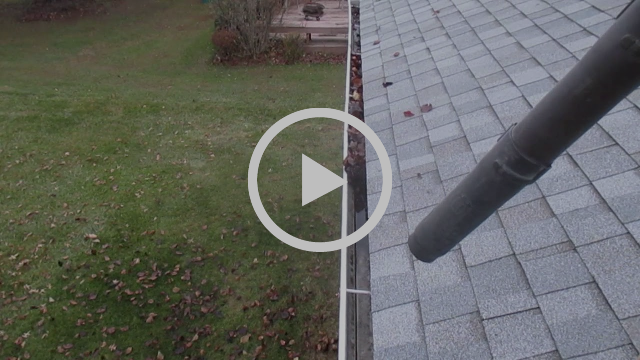 Check out our YouTube channel to watch as we clean a client’s gutters in Hagerstown, Maryland. As the temperatures change in the Washington County, Maryland, area, are you wondering when is the proper time to remove your hummingbird feeders? According to old wives' tales, if you leave your hummingbird feeders out after the start of fall, hummingbirds will not migrate south. However, don't worry, this is completely untrue. As with most birds, the hummingbird will migrate based on environmental cues. But, every so often, a few hummingbirds will overwinter in the mid-Atlantic region. Typically, these birds were blown off course, or are inexperienced at migrating. Take a look at your feeders. If, after October 2, you don't see any signs of activity around your hummingbird feeders, and don't see any activity for the following two weeks, then it is safe to take down your hummingbird feeders for the season. Most birds will have migrated by this time. Make sure to deep clean your hummingbird feeders before winter storing. If your hummingbird feeders are stored in a shed or outbuilding ensure that all moisture is gone before winter, or the feeders will likely crack and freeze during the cold winters. 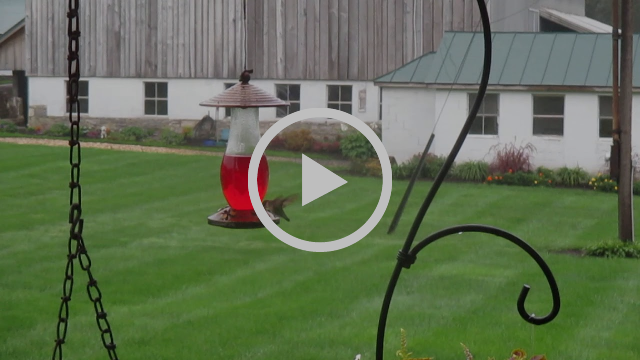 Check out our blog post on hummingbirds here, and watch the YouTube video below. Did you know that different parts of the tree grow at different times of the year? Root growth occurs in the fall and winter months, followed by foliage that grows mostly in the spring. Trunk growth mainly occurs during the summer months. Do you have any stressed plants, infested with insects, and in need of some professional help? 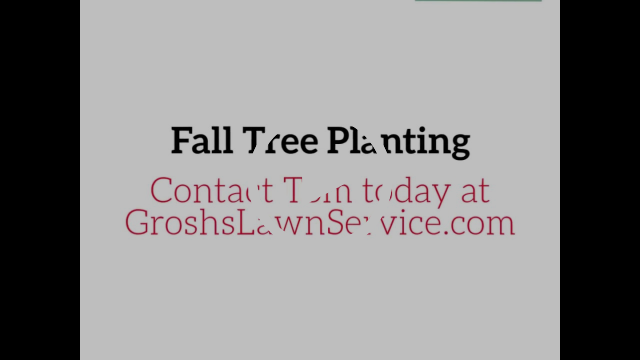 Contact Tom at Tom@GroshsLawnService.com to get your trees back in good health. Do your trees need dead wooding? Do you have broken or damaged tree limbs that need attention? Are there limbs on your trees that are low and droopy and causing a serious safety issue since they are obstructing your view? Are your trees in need of thinning to allow the wind to blow through, instead of blowing twigs and branches onto your lawn? Email Tom at Tom@GroshsLawnService.com to schedule your tree care consultation. 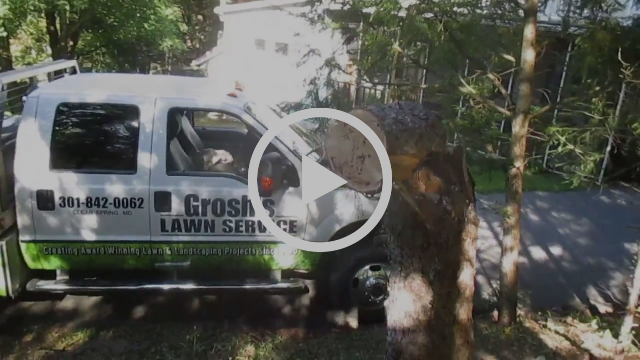 Take a few minutes and watch Grosh’s Lawn Service YouTube Video that shows a mimosa tree removal. Are you thinking about selling your home within the next year? Are you looking to get the best price for your home? Email Tom today to schedule your home sale consultation to get your home prepared for the real estate market in the Washington County, Maryland area. After you sell your home, are you going to buy a new home? 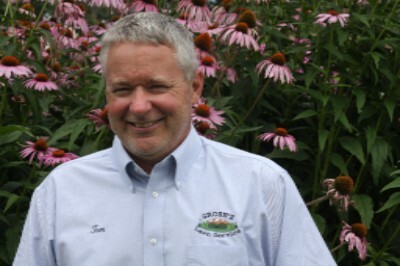 Tom and the team also offer personal landscape inspections to discuss the landscaping and how much value it may be adding to your purchase price. Contact Tom today to schedule. 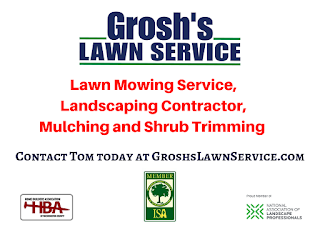 Tom and the team at Grosh’s Lawn Service recently helped a client who moved thousands of miles away. 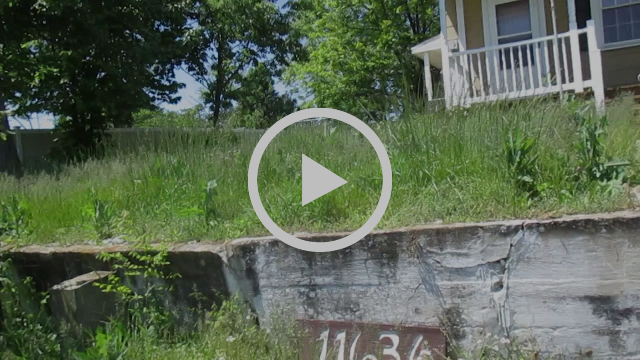 The team continued mowing his lawn until the for sale sign was removed, once the house was sold. My house sold... I appreciate everything you have done for me. I really think your service was instrumental in getting it sold. Thank you very much.